The signs of anxiety are global but the causes are local, and they differ across countries. A single common approach is unlikely to work. Governments have roughly four policy options to address this anxiety: increase restrictions on immigrant entry; reduce emigration pressures by intervening in the sending countries through development aid and other means; accommodate immigrants and work toward their integration; and address the core causes other than immigration that are triggering the anxieties. The aim of the first two is to restrict immigration in the hope that reduced inflows will pacify the discontent about immigration. Governments across Europe have applied both strategies with limited success. The third strategy assumes that poor immigrant integration has caused this anxiety and that once immigrants integrate with the native population, it will dissipate. The fourth option asks host countries to face up to their primary challenges and address them instead of ignoring them and scapegoating immigration. This last policy option is rather vague and would clearly be effective only once policy makers determine what is really driving anxiety in their country. In this chapter I discuss whether and how these four policy options would pacify public anxiety. Many believe that the only possible solution to political discontent about immigration is to restrict it, in particular the entry of illegal, undocumented, or irregular immigrants, whom residents in many host countries particularly despise. For these residents, the presence of undocumented immigrants corroborates the fear that their national borders are insecure and their governments either are incapable of securing them or don’t care. National governments in many countries have responded to the rising discontent by increasing border and internal enforcement, sometimes with measures like constructing walls and fences or immigrant detention centers. These policy responses assume that immigration is the true cause of public anxiety. The success of right-wing political parties that favor such policies in Europe and the United States is ostensibly evidence that immigrants are the primary culprits and restricting immigration would resolve most of the problems these countries encounter. In reality, the success of far-right political parties only implies that the public perceives immigrants as the culprits but does not prove that increased enforcement would address what’s really at the core of public anxiety. 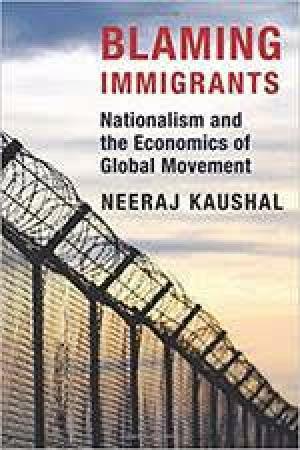 In this book I have provided evidence that immigration is not a key driver of the rising political anxiety. A number of factors, some of them quite unrelated to immigration, have created public antipathy to establishment political parties that have followed what are perceived to be relatively liberal immigration policies. A further question is this: even if immigration is the root of some problems, are restrictions the only solution? Restrictive policies have often failed to reduce immigration. When countries build fences or walls, immigrants build underground tunnels; they take hazardous routes to immigrate; they fall into the clutches of illegal human traffickers, who are exploitative and charge immigrants exorbitantly but who also create illegal channels for migration. In such a scenario, a key justification for implementing restrictive policies is to show that the governments are not ignoring the grievances of the public and are responsive to their demands. But clearly these policies are not a solution to economic fears and anxiety. On the contrary, instances of failed enforcement measures show that they create greater anxiety about refugees and illegal immigrants. The failed attempts by European countries to restrict Syrian refugee inflows are a case in point. Better management of irregular immigration and refugee flows, on the other hand, would go a long way toward relieving anxiety. I argue that a better way to manage illegal immigration is to recognize its presence and create visa categories that acknowledge the need for low- and medium-skilled workers. Intervention in sending countries is the pet theme of development experts and policy makers, who see this as the humane solution to the “immigration problem.” The thinking behind this approach is that development aid and freer trade will spur economic growth and lift living standards in sending countries, in turn weakening pressures to emigrate. Unfortunately, such interventions have no history of success. The carrot-and-stick policies that involve lowering tariff barriers and giving development aid to sending countries on the condition that they restrict emigration have generally failed to yield the expected results. For one, many of the incentives — like foreign aid — as I document in chapter 2, end up strengthening regimes that immigrants and refugees are trying to escape. For instance, the financial aid that the United States gave to the governments of Honduras, El Salvador, and Guatemala to restrict emigration of unaccompanied minors primarily went to their autocratic regimes. Such intervention is less likely to spur economic growth and more likely to induce emigration. Besides, the link between development and emigration is complex. Development could become the cause of emigration if it creates resources and aspirations among potential emigrants. Emigration increases economic prosperity in the sending countries. It tightens the sending-country labor market, raising wages. Immigrants send remittances to their families back home, which is an important source of income. Remittances have been a much larger and more reliable source of funds for developing countries than foreign aid or foreign direct investment. Societies with a better record of integrating immigrants are less likely to suffer anxiety around immigration than societies whose immigrants have failed to integrate. To some extent this reflects how immigrants are more integrated because the receiving society has less dissension and is more welcoming. Greater integration, however, also lowers anxiety about the immigrants’ presence. The best way to support immigrant integration is through policies that encourage their economic independence and help them acquire skills to accomplish it. Integration policies that allow immigrants access to safety net programs are less likely to be supported by the native-born if these programs impose a fiscal burden and increase local taxes or reduce services that the native-born use. Countries that give immigrants access to welfare and social insurance without providing equal opportunities in the labor market will attach immigrants to welfare and reduce their employment, which will marginalize them in the long run.